One of the most recognizable sportcars on the planet is the Lamborghini Countach. 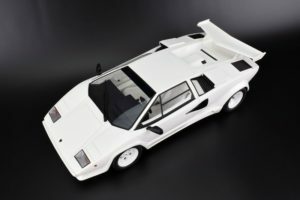 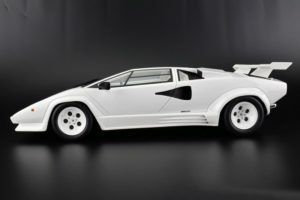 Kyosho with the help of GT Spirit bring forward their replica of the 1:18 Lamborghini Countach LP 5000 QV in White with White interior. This retro look is purely of the era, we love it. 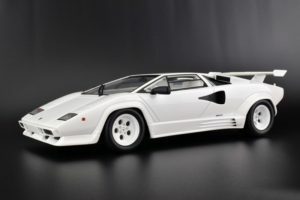 Though it doesn’t hold a candle to the old school diecast releases from Kyosho, the model does give fans a foot in the door to an affordable replica of a true classic. As we all know the diecast version with opening bits from Kyosho is long sold out. Enjoy the pics! 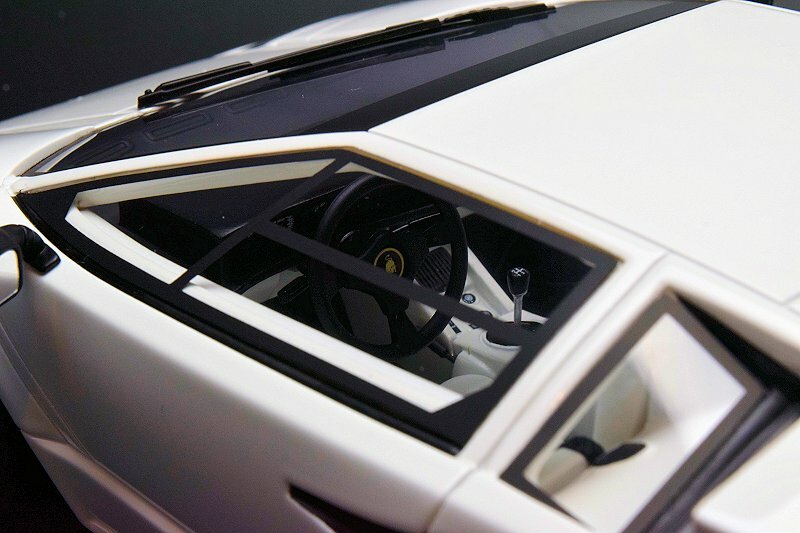 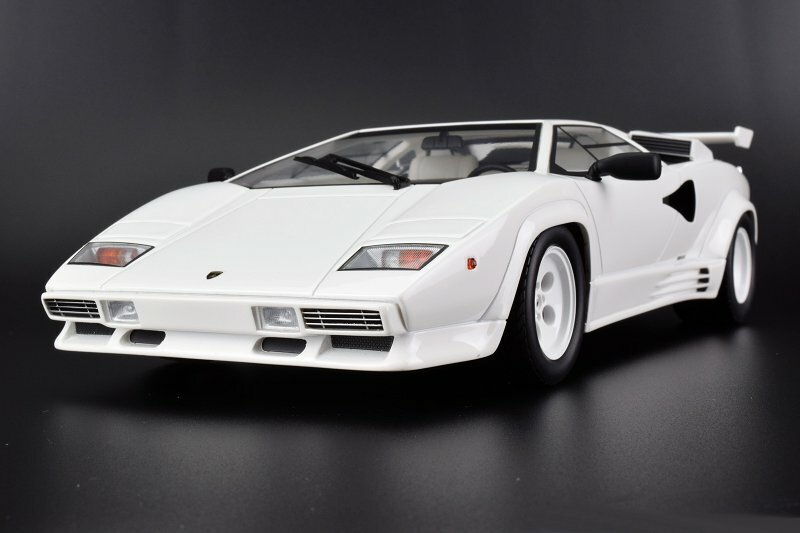 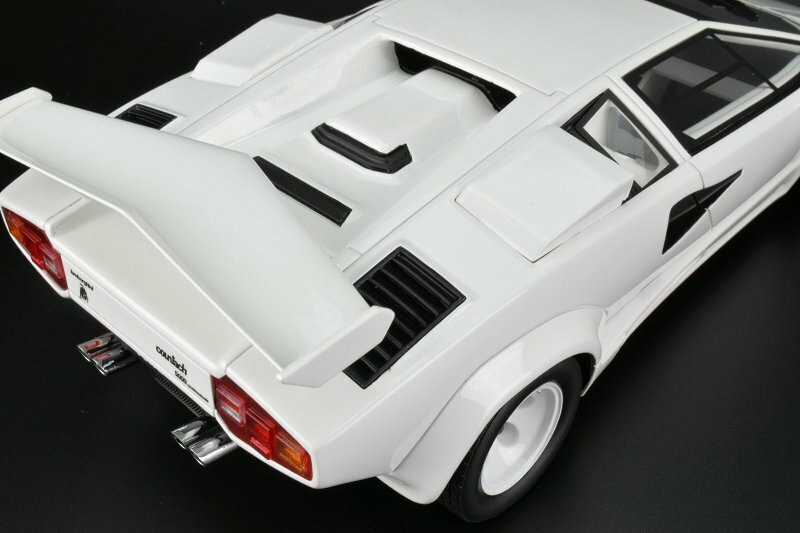 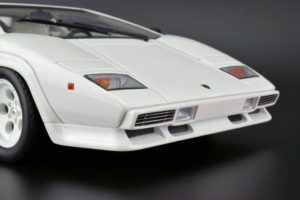 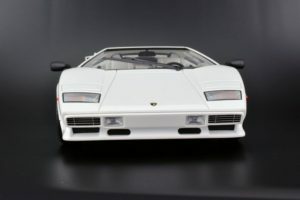 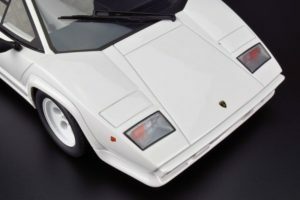 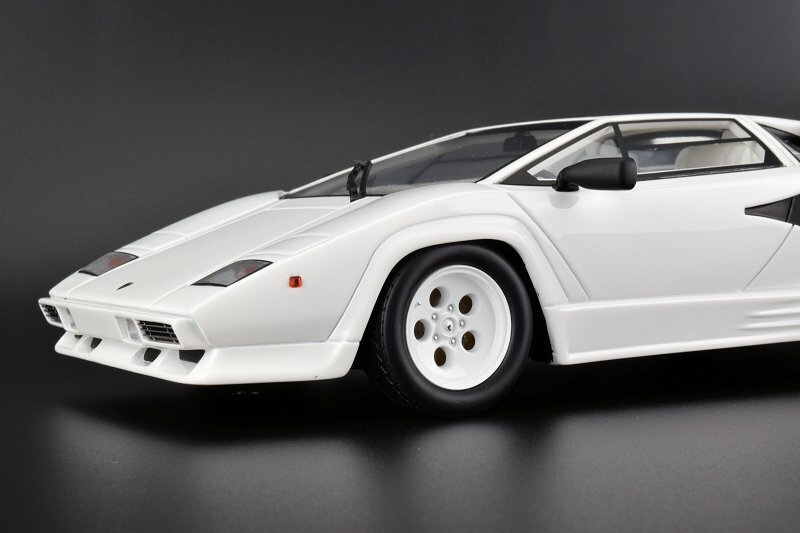 3 Responses to "PHOTO GALLERY: Kyosho Lamborghini Countach LP 5000 QV"
I wonder if I can just order the side mirrors. 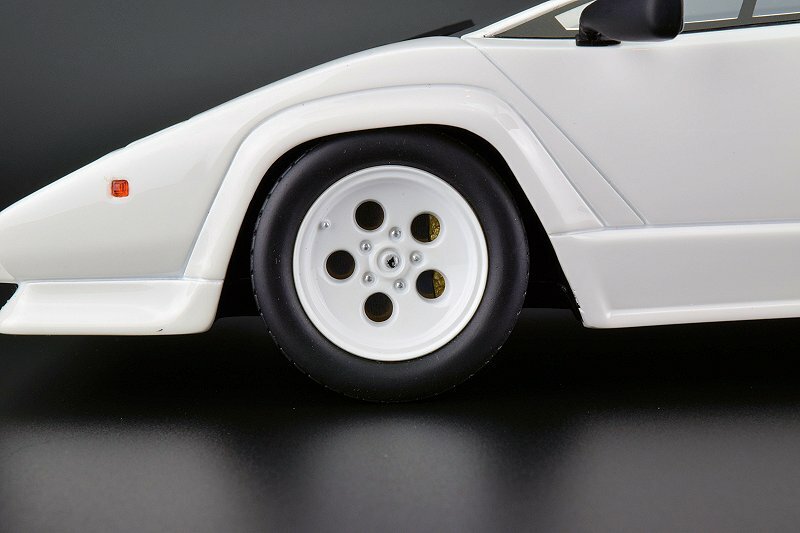 My Kyosho and Auto Art mirrors both broke off one on each side. 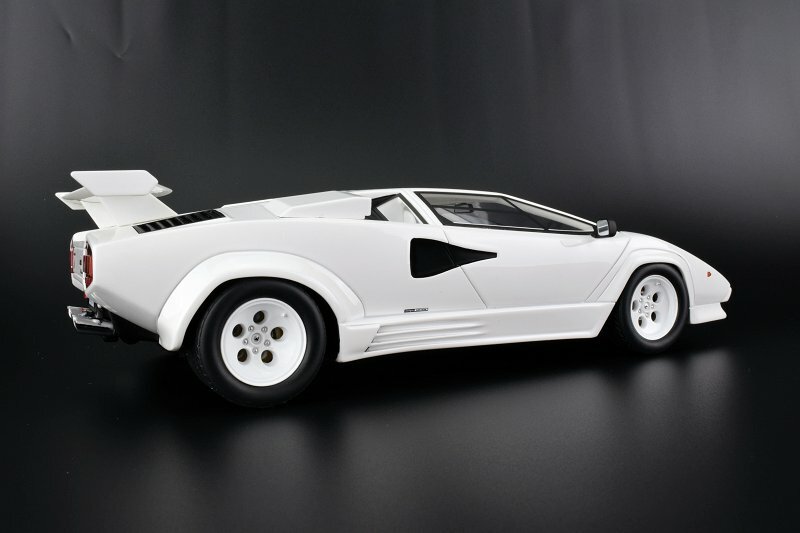 Funny thing is, the Kyosho mirror is slightly but noticeably bigger than the AA. 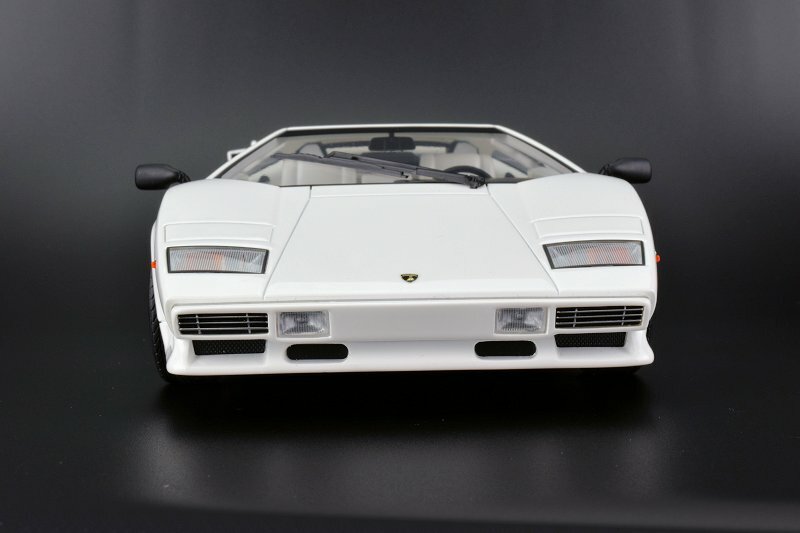 I bought this mdel and it is vry nice. My only issue with it is , they didn’t set the front wheels in enough. 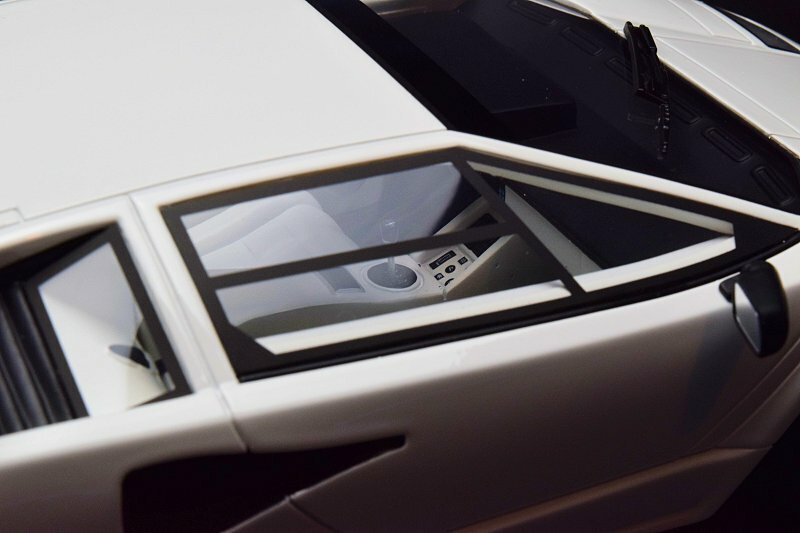 They stick out to far. 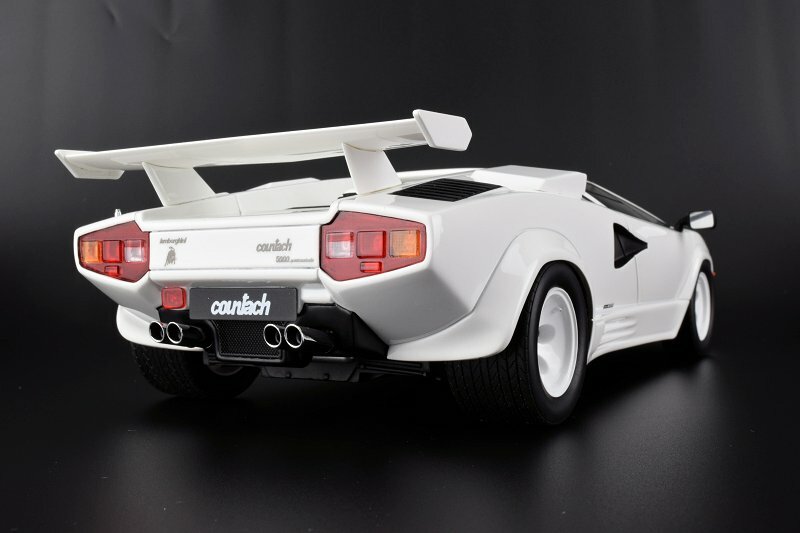 Look at any real countach and you will see what I mean. 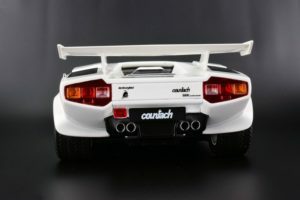 All of these manufacturers really need to pay more attention to whhels and the stance of the cars. My Kyosho Countach – Christmas present arrived today! I have also the old rare gem with the opening parts, but this version was also a must for me as I love the 88.5 version with the side skirts. 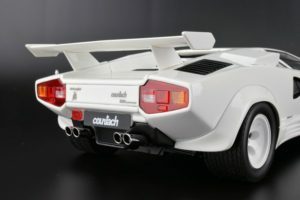 It is very beautiful and very nice detailed. 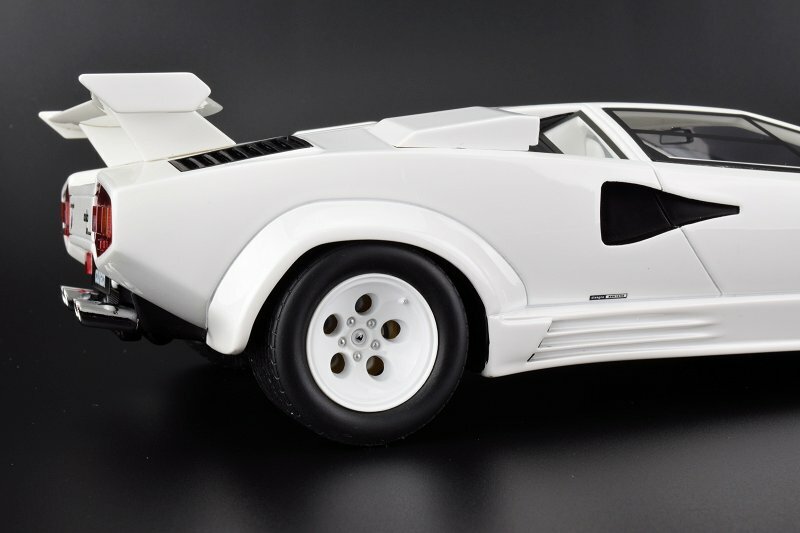 A gorgeous installment to my collection, I love it.